As the end of this month approaches, the 29th of October is a day to round up important family cycles and set free from the past. People born at this time often stay stuck in issues that are long gone, in a constant search for Divine Love that will liberate them and help them understand the greater order of things. Sometimes they feel like they are too sensitive for life, but their sensitivity is in fact – their greatest strength. To come to terms with such extremes of the feminine and masculine energies in their planetary row, those born on October 29th need to dig deep and work on matters that got them stuck. They always need to heal something grand and important, something that won’t let them move forwards and create the ideal life they wish to life. This could give them a sense of shattered ideals that never come and interfere with pure faith they carry in their heart. As they separate from outer influences and memories that taint their image, they find true forgiveness for others, and themselves, and learn to move with the flow of emotion taking them where they wish to go. It is important that they steer clear of alcohol, tobacco and toxic influences on their physiology, so their mind and heart can cleanse and let go. Once they come to terms with their sensitive side and make it stronger by letting go, finding a positive twist in each situation from the past, and understanding those who have hurt them, they must balance out their feminine and masculine energies. 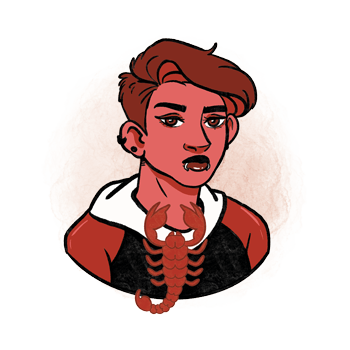 Their second planetary row speaks of balance between parental figures and points out to loyalties that throw them off their feet and make them make moves in different, unconscious ways, acting and reacting in some sort of imbalance. "A Massive Rocky Shore Resist the Pounding of the Sea"
"The Gold Rush Tears Men Away from Their Native Soil"
Solid grounds are needed to withstand waves and emotional storms of the outer world, but they shouldn’t hold one back on their search for gold, for what would truly make their lives rich. When these symbols combine, we see someone a bit torn between things that give them stability in their interactions with others, and their need to seek happiness in the real world. Learning to connect their own inner stable grounds with the ideal they strive for, they start manifesting exactly what they wish to live. Education, travel and religion call on those born on October 29th. Their purpose in life is to make room for expansion that will widen their world and help them breathe. It is their task to believe in their ability to manifest their visions. In order to do so, they need focus and their direction to be chosen by heart, not by mental efforts of understanding. Their goal is to find purpose and a positive turn to every situation in life, however dark or burdening it might be, as it makes them who they are today. 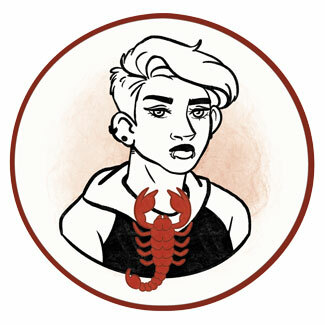 Nothing is as important as deeply emotional relationships in lives of Scorpios born on the 29th of October. Their world is colored with belief, recognition and empathy, and they wish to share their inner wonders with someone. Still, disappointment comes as a given if they aren’t able to let go and move on only carrying that massive chunk of love, talent and potential that makes them who they are in their authentic core. Relationships with others shouldn’t make them doubt their feelings, as no other person is to determine which emotion is right or set in place. Their stable position in any bond depends on their ability to believe in their own sensations and emotions. Idealism could throw them off their track and make them search for the readiness in others to connect that simply isn’t there. They are to build an incredibly sensitive feeling for other people's limitations and accept their own role in the world, so they can get ready to connect on a higher plane, with someone just as brave and sensitive as they are. Faith will light the way and the deep need they feel to create aspects of their ideal in the real world will fill their emotional world with magic once they embrace their authentic truth without compromise. A person born on October 29th does well in art, painting and music, able to touch hearts of many with their talent. In general, they have a talent they need to discover, but their diversity might confuse them along the way. They are excellent psychologists, doctors and healers, as they have a special touch of understanding for souls of others that exceeds that of common people. When their need to help finds focus in their work, their private emotional life will change, and their close relationships tend to cleanse and gain more stability. A great healing crystal for those born on the 29th of October is the Herkimer diamond. This is a high vibration crystal that boosts higher understanding and one's psychic abilities. It is a powerful amplifier for any other healing stone they already have and gives their sensitive nature clarity through information from above that are clear and obvious. This stone is useful in healing environments and has a harmonious energy that aligns their spirituality with the real world. Individuals born on October 29th constantly look forwards to the magic of life, even when they don’t seem to. They will enjoy presents that are gentle and soft, a fine perfume, things made of lace, bath tub salts, candles, wine glasses and incense stick holders. You can buy a snow globe, a book of magic tricks, or fluorescent stars for their bedroom and it is always a good idea to go with new, soft sheets and pillows if you feel like you are out of options. Gentle, empathic and open for deep interactions, they perceive the world as a wonderland and have faith in the bigger picture we are all a part of. Talented and creative, they help others to not feel alone. Lonely, broken, and thinking of themselves as too sensitive, they get lost in toxic influences and need to learn to value their own emotions and put them on top of their priority list. Without support in life, their fragile nature could lead into psychological problems and substance abuse. In 1942 Bob Ross was born, an American painter, television host and art instructor, who created and hosted the television program The Joy of Painting. He stated that he paints because it allows him to create the kind of happy world he wants to see. In 1947 Richard Dreyfuss was born, an American actor known by his roles in Jaws, Stakeout and The Goodbye Girl. He publicly discussed his diagnosis of a bipolar disorder in the documentary Stephen Fry: The Secret Life of the Manic Depressive. In 1971 Winona Ryder was born, an American actress and producer, who starred in Mermaids, The Age of Innocence, Girl, Interrupted, and others. Clinically depressed, bullied at school and arrested for shoplifting, she has drawn a lot of media attention in constant touch with shady medication. Her godfather was a psychedelic guru Dr. Timothy Leary. 1390 – In Paris, the first trial for witchcraft is held leading to the death of three people. 1863 – The agreement to form the International Red Cross is made on a meeting of eighteen countries in Geneva. 1923 – After the dissolution of the Ottoman Empire, Turkey becomes a republic. 1960 – The first professional fight in won by Cassius Clay, later known as Muhammad Ali (born on January 17th). 1969 – The first link between two computers is established on ARPANET, Internet's predecessor. 2015 – After 35 years, China announces the end of their One-child policy.